So, why does this matter? Well, KarenT has been expanding and is trying to promote in the English side of the world. Now, they bring us purchasable songs and albums. If you have ever tried to buy a song via iTunes that was not specifically for your country you will understand the frustrations. 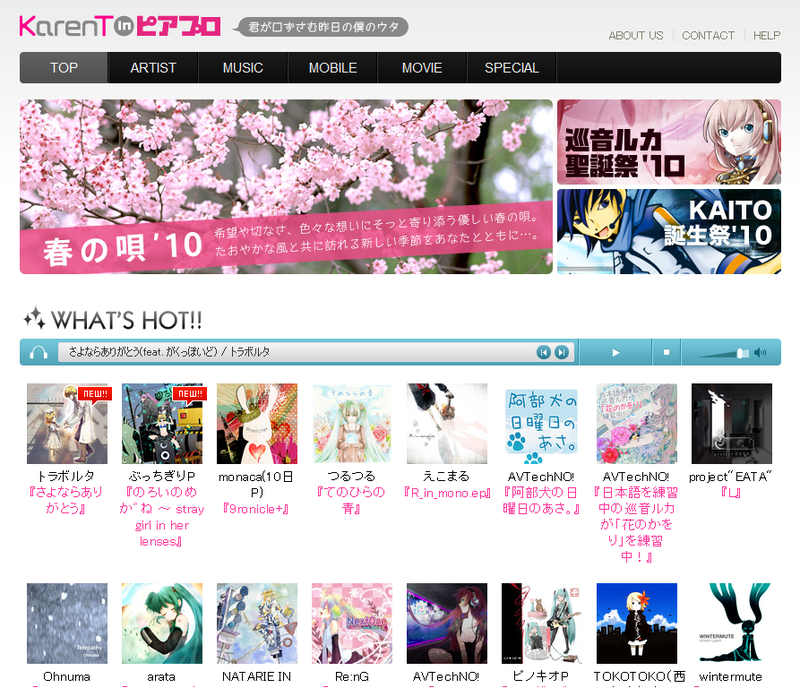 KarenT helps us to support our favorite artists easily! Some artists under the label are: Toraboruta-P (トラボルタP), doriko, AkunoP (悪ノP, Mothy), Tripshot, Dixie Flatline and minato. Here are the many ways to keep in touch with the record label: Facebook, MySpace, Piapro, Twitter, YouTube. Kickass! This is one step closer for a better understanding between companies. I mean, the fact that they KNOW that their products are quite profitable outside Japan will open many many doors for them. I'm glad they are doing that now ^^.